These words of advice hit me like a torpedo as I lamented Scout’s season of teething. My friend said, you know you really should enjoy her while she’s young, she won’t be this way forever. I don’t think it matters whether we’re talking about a child or a dog, our time is precious with the ones we love. I’ve had Scout for three months. 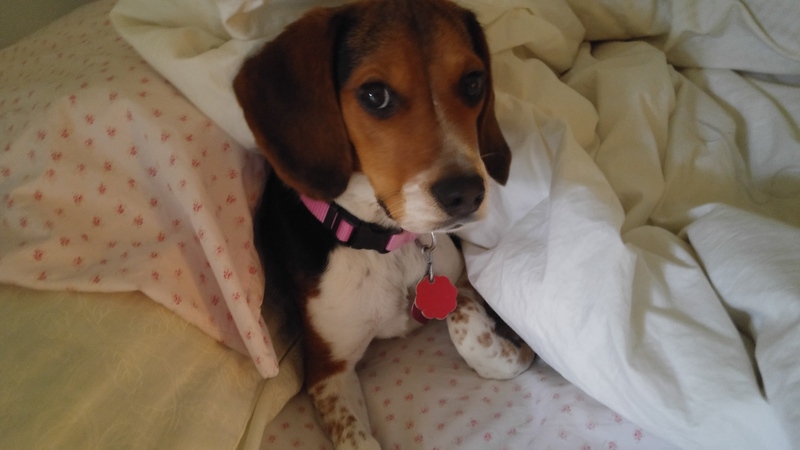 She’s a six month old beagle and it feels like she’s in her terrible twos. You see I’ve never been married and I have no kids, Scout’s my baby. And she’s a handful of plenty. We’re also facing potty training and it’s still going on. I contended with my friend that I’m trying treats and every possible trick I know. She said consistency is key. Then her words sharply pinged me again. Enjoy her while she’s young. I remind myself of that frequently. Time is so short and Scout is growing fast. It won’t be long before she’s no longer running and jumping and feeling playful. I see growth in her almost everyday. I keep a ticker with tape in the kitchen to mark her days of growth as she gets taller along with the dates. It seems like a little something changes daily as though maturity is setting in. She’s inquisitive about everything. Every day is new, with eyes wide open her days are big adventures. Every walk is exploratory as though she’s in search of a gold mine. Scout’s predictable. After an episode of running, jumping and biting everything in sight she takes a rest. 8:00PM is lights out every night. When on a car ride she’s learned what makes the window go down. She’ll glance and paw at the button on the door until you roll it down. She loves getting under the covers for a bit and then piling onto the down comforter, head covered of course. It was two days after I had picked her up and taken ownership of her that she began screaming in severe pain. We rushed to the veterinarian ER and that night at 2am she had emergency surgery due to a perforated intestine and was diagnosed with septic stomach. She’d be in ICU for six days. I was so blind sided in shock that I was numb. The doctor said they see this in dogs who have been given excessive amounts of anti-inflammatory drugs. Having really no medical history to go on from her previous owner, we had the surgery which saved her life. She has fully recovered from her rocky start at life. Every day is a magnificent gift. Potty on the floor. Bruising from biting. Ruined books. Potty on the floor, oh right, I mentioned that already. It seems I say the word no more than anything else. When I want more than anything to lay down and be done for the day and we’re still playing I count my blessings with Scout. She is a gift. I will enjoy her while she’s young. Scout is adorable! 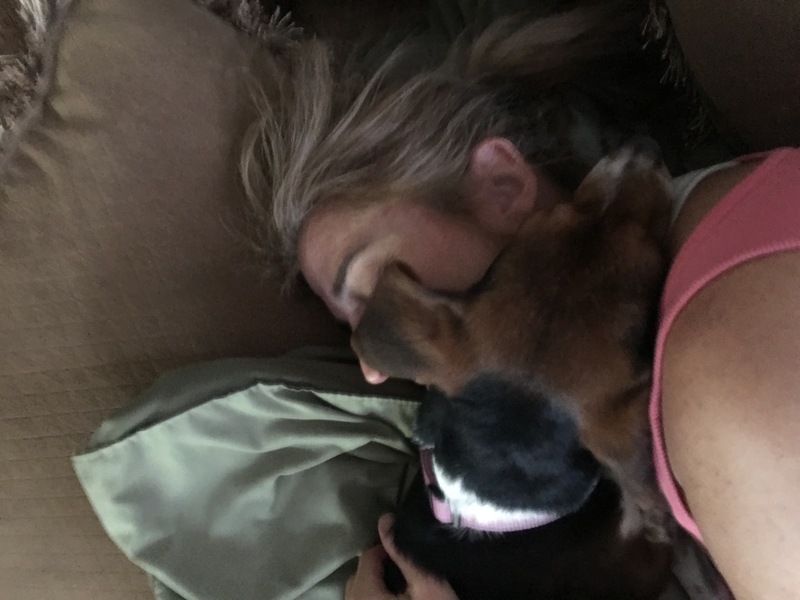 Our beagle passed away last year, but she was so loved. 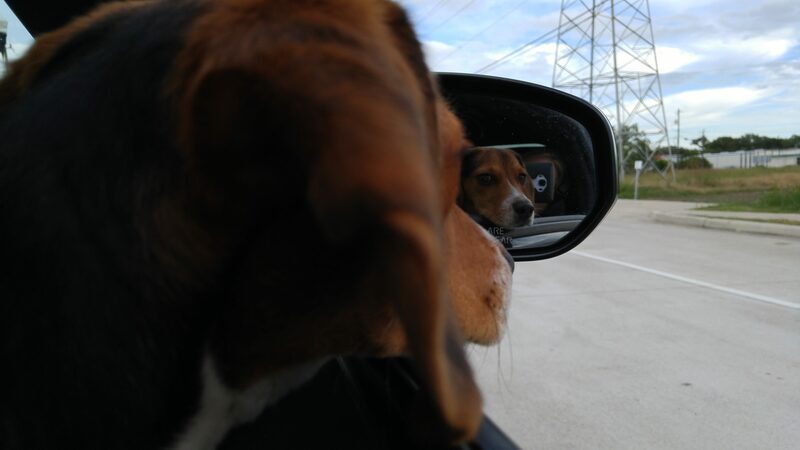 Beagles are such a fun loving breed! Thank you Cate! 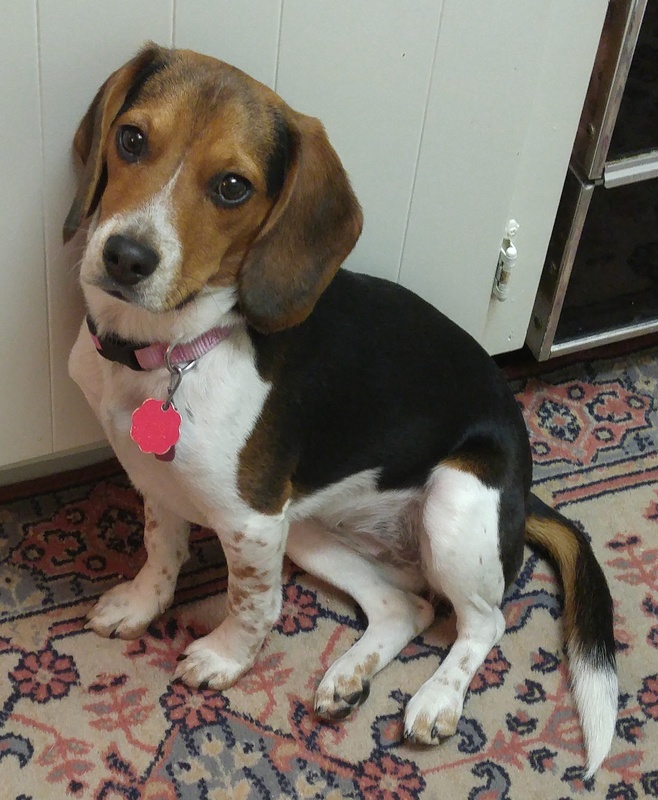 I’m so sorry about your beagle, we had one pass this April too. They are such joys! Our dogs have bedtime as well. Oddly they never grew out of it. At 9pm they are toast. Thank you for stopping by Renee!